An interested group gathered at the Ajo Library yesterday to hear members of the Gibson Neighbourhood Artists talk about their work. Six of the artists featured in the show shared their thoughts on inspiration and technique and visited with the audience after the opening. The show runs until February 27. 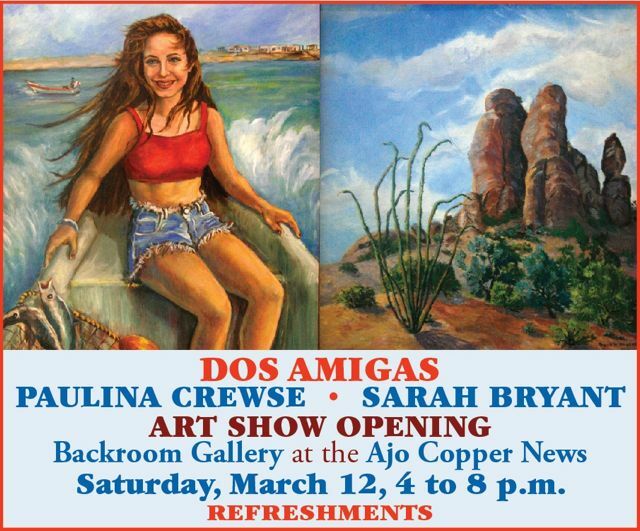 The Ajo Public Library is hosting a showing of art work by the Gibson Neighborhood Artists. The show, which opened February 1, continues through to February 27. A reception for the artists will take place at the library on Thursday February 4 at 2:00 PM. The artists will discuss their works and answer questions from the audience. This very colorful collection includes works in oils, acrylic, pastel, photography and watercolor. The show features work by Linda Constant Robinson, Terry Gonzales, Claire Bistline, Rene Cloutier, Wendee Cloutier, and Faye Gustafson. Claire Bistline http://www.clairebistline.com. Claire works with pastel, acrylic plus oils, and pursues a variety of subject matters. This exhibition includes one of her very popular rooster series. Claire has also had work in a number of juried art shows. Terry Gonzales, http://www.fineartamerica.com /profiles/terry-gonzales Claire’s husband and painting partner chooses oils to create his colorful desert scenes. Terry’s paintings have also been included in a number of juried art shows. Linda Constant Robinson, http://lindaconstantrobinson.com/ Art is and always has been the prime motivator of my life and since retiring fifteen years ago I devote myself to painting full time. My paintings have been accepted for exhibitions in galleries and art museums in the US and may be found in private collections in the US and abroad. Faye Gustafson, http://www.fayegustafson.com paints all things western in oils, plus works in the mediums of sculpture and pencil. Faye exhibits in several national and regional events and is a member of Oil Painters of America. 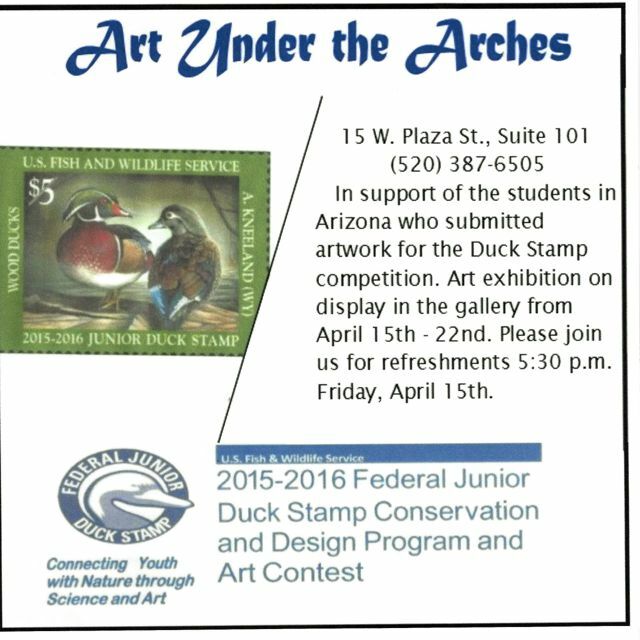 Ajo artist Denny Carriere is the featured artist at Art Under the Arches Gallery this month. Denny works in egg tempera, a very old technique dating back more than 2000 years. It was the technique used by the Italian Renaissance painters until 1500 when it was overtaken by the invention of oil paints. The opening reception is Friday, January 8 at 5:30 pm.